The entire program is open to all participants..
reserve the right to decide on course placement..
Ismael Barrios’ band SALSA EXPLOSION is currently filling concert halls all over the country. It is the music that Ismael has been playing his whole life. Fresh, emotional, earthy and makes you move your feet. No cliches are served up, this is truly salsa that is played. Born in Venezuela, he can be heard on more than 90 CDs and DVDs. Ismael Barrios has played with Martin Grubinger’s PERCUSSIVE PLANET in the world’s largest concert halls. Collaborations with Benjamin Schmid, Trilok Gurtu, Alegre Correa, STS, OPUS, PAPERMOON, Marianne Mendt, and many others. 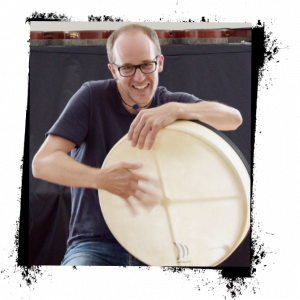 He teaches at the STUDIO PERCUSSION school and in many workshops. Conga, bongo, claves, cowbell, guiro – each of these instruments has a special and important function in salsa music. Together they form the ingenious rhythmic network and basis for music from Cuba. What should you expect? 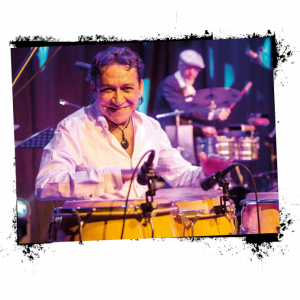 Pure salsa percussion from a great master of this genre (including dance steps ;-). Rahela received her first musical training in her hometown Maribor in Slovenia. After graduating from music high school (main instrument: violin), she studied choir and orchestra conducting under Johannes Prinz and Wolfgang Dörner at the University of Music and Performing Arts in Graz. She completed her master’s degree with distinction in 2013. 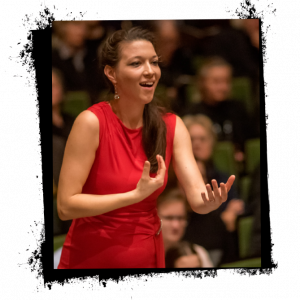 In May 2015 she received the NOEL MINET Special Prize and the FOR A PROMISING YOUNG CONDUCTOR scholarship in an international competition for young choir directors in Turin. She is assistant lecturer for choir conducting at the University of Music and Performing Arts Graz (KUG) in the conducting class of Prof. Johannes Prinz as well as choir director of SUPERAR Steiermark. She also works on the project MEET4MUSIC at KUG. She teaches choir conducting workshops throughout Austria and directs two choirs of her own. WHY IS THERE A CHOIR AT A PERCUSSION CAMP (AGAIN)? was written in last year’s brochure. It didn’t happen, but the most commonly expressed wish was that the choir project would continue during the next APC. And I can only say: I would love for it to continue! Singing is one of the oldest forms of human expression. More and more research has been done on the positive effect that making music with your own voice has on body, mind and soul. What has been brought to light inevitably leads to the conclusion: regular singing is so healthy that it should actually be prescribed by your doctor! Singing is balance. Singing helps us find the beat again and soothes the vegetative nervous system. Singing liberates you. Singing brings balance to the soul. Singing is vitality. And the best is that it all happens automatically! 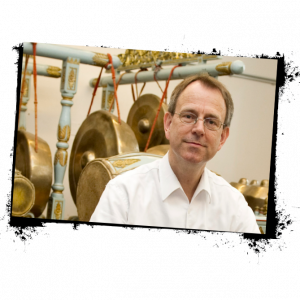 Gerd Grupe is Professor of Ethnomusicology at the University of Music and Performing Arts Graz (KUG) and has dealt with gamelan music from Java for many years. He learned to play the gamelan from leading teachers from Java and Great Britain and regularly gives courses at KUG, including the community music project MEET4MUSIC, which is aimed at all people interested in music regardless of prior knowledge. Gamelan music from Java encompasses a wide spectrum of styles ranging from traditional, classical compositions to modern, popular pieces. We will play original instruments from Java. The distinctive sounds of the bronze gong and metallophone are especially challenging for European ears not least because of their unusual tuning and tone quality. They are complemented by a drum, which also leads the music. The technical difficulty of the different instruments varies, but all are equally important in the group. That is why musicians with different musical experiences can play together so well in this ensemble. Dr. Lamon Lawhorn is Assistant Director of Bands at North Carolina A&T State University. He coordinates the entire program of the University Band Percussion Ensembles as well as the COLD STEEL drumline. 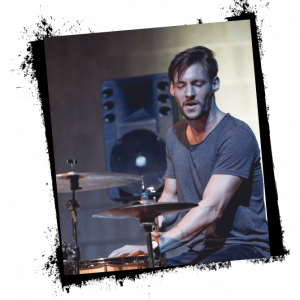 He has conducted drumline workshops in Mississippi, Virginia, Texas and Indianapolis, where his drumline was a hit at the Percussive Arts Society International Clinic in 2016. 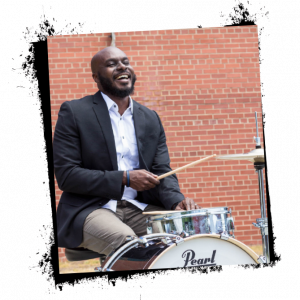 Lawhorn received his Bachelor of Music degree in Music Education from Prairie View A&M University, a Master of Music degree in Percussion Performance from the University of Mississippi, and a Doctor of Musical Arts degree from the University of North Carolina at Greensboro. After my trip to the U.S. last November to attend PASIC (Percussive Art Society International Convention) in Indianapolis, where the Grand National Championship of the BANDS OF AMERICA was taking place, it was clear that Lamon Lawhorn had to come back to APC. The name COLD STEEL is undoubtedly associated with one of the best drumlines in the U.S.A. They are the heartbeat of the North Carolina A&T University Marching Machine. Founded in 1985, the drumline has over 40 members and can make entire sports halls shake with its concentrated energy. The COLD STEEL drummers have that certain something. They have the gimmicks, the tricks, the choreography and the technique that fosters it all. This art form has its place in American society, almost a little like hip hop. It is not without reason that COLD STEEL along with PETER FOX have been highly successful. Lamon Lawhorn is the trainer of probably the coolest and best drumline in America. Studied classical percussion at the University of Music and Performing Arts Graz. Studied jazz vibraphone at Berlin University of the Arts. 2018 GONZERVATORY finalist with Chilli Gonzales in Paris. 2014/15 Work scholarship from Berlin University of the Arts. 2010 New York Scholarship as part of a Hans Koller Prize. No other music weaves together heartache and exuberant merriment as ingeniously as the music of the Balkan countries. Odd meters and speed until you drop – what more could your percussion heart desire? So roll up your sleeves, put on your hat, and get started. STUDIO PERCUSSION graz, Wiener Operetten Orchester, Blues Brothers Showband, Gustav Mahler Jugendorchester, Graz Philharmonic Orchestra, Walzerperlen, Vienna Radio Symphony Orchestra, Stefan Heckel Group. Chamber music as a reflection of society. From beginner to virtuoso. Very exciting. 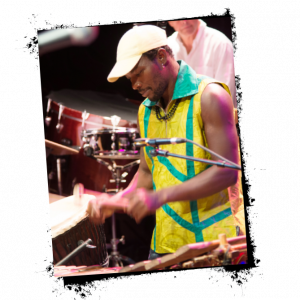 Djembe and balafon player Louis Sanou from Burkina Faso comes from a West African griot family whose family trade has always been telling stories and making music with traditional instruments. In 2003 he came to Europe as a musician in Andre Heller’s show AFRIKA, AFRIKA. 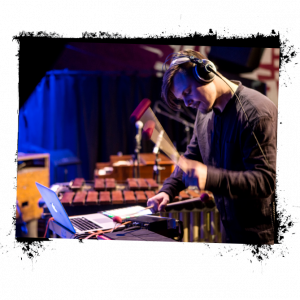 He is the leader of his own line-up LES CINQ FRERES and a guest musician with Martin Grubinger’s PERCUSSIVE PLANET as well as STUDIO PERCUSSION graz. With djembe, balafon and dundun, Louis will prove that everyone has rhythm in their veins. He puts together complex polyrhythms with ease and will groove with his ensembles until Lake Ossiach starts rolling with storm waves. The TUPAN is firmly anchored in the folk music of the people of the Balkans. It is related to the davul, a double-headed drum that is common throughout the Middle East. The higher pitched head is beat with a thin switch and the lower pitched one with a massive mallet. The DARBUKA has its roots in Arabic music. Pakistan, Oman, Yemen, Turkey, Morocco, the Western Sahara – all are home to the darbuka. The darbuka has also become a very popular instrument in world music. Claudio Spieler will open the door to these fascinating instruments and once again reveal his tricks on the cajón. Ed Partyka Jazz Orchestra, STUDIO PERCUSSION graz, Fräulein Laut, Viola Hammer, Mareea, Loktor, Jason Mraz, Thomas David. 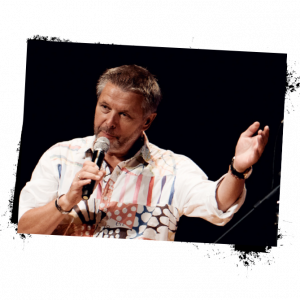 In addition to his many concert tours throughout Europe, he has been recognized for his contributions to several CD recordings and won the Joe Zawinul Award in 2014. 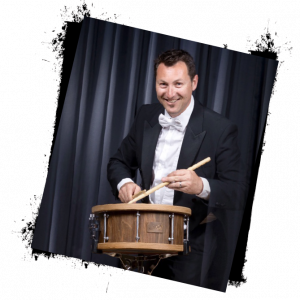 He teaches at the STUDIO PERCUSSION school and at music schools in Wies and Knittelfeld. - How can I incorporate these tools into modern drumming? – What possibilities are available for imitating electronic sounds with acoustic ones? – What techniques can I acquire so I can play well with each kind of stick? These and many other questions will be answered in relation to groove, timing and musicality. Fit4Drums™ is a new, incredibly unique fitness and music concept based on training with a bOdrum, a specially developed and internationally patented drum. It is the first group fitness workout during which a real drum is played and intensive fitness training is provided. Right from the first beat, the group breathes in unison. The rhythm, the groove and an unbelievable fascination overtakes each and every one of the participants, allowing them to merge into a unit. The sound they produce raises goosebumps. The participants become enthusiastic, practice effectively and leave the course feeling emotionally liberated and proud. Born in 1957 in Graz. There is no audience in a DRUM CIRCLE, just fellow players of all ages and cultural or social backgrounds. Everyone is invited to discover the world of music and rhythm directly. Under the guidance of DRUM CIRCLE facilitators (facilitate: to make easier, to support), the participants play different rhythm instruments and create a magnificent musical event together.